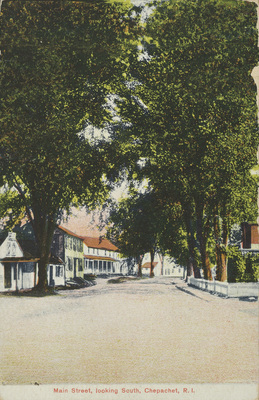 "Main Street, looking South, Chepachet, R. I." by Edgar S. Potte, Chepachet, R.I.
Main Street, looking South, Chepachet, R. I.
Edgar S. Potte, Chepachet, R.I.
Edgar S. Potte, Chepachet, R.I., "Main Street, looking South, Chepachet, R. I." (1915). Rhode Island Postcards. 259.